Newly wed wife, Kudzai Juliet Mudema is battling for shame after she was recently caught in bed with another man on her wedding night. Kudazi Juliet Mudema, who was a nurse in Gweru, wrecked her holy matrimonial with Progress Walusi after she failed to control her s*xual life resulting in her being caught having s*x with her boyfriend only identified as Lawrence during their honeymoon. 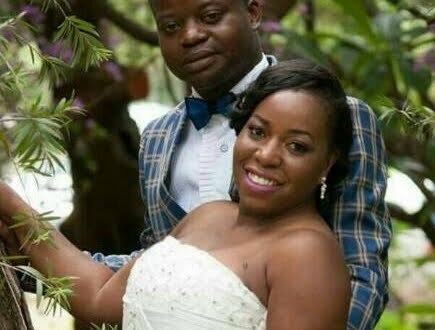 Kudzai who wed at Muzimukhulu gardens also had a scandal during her honeymoon when she had s*x with her college boyfriend. The incident has since been confirmed by the hubby in the leaked whatsapp chats in possession of this publication. Walusi and Kudzai’s sister feature discussing the infidelity matter. The chat starts with Walusi saying: “… I’m hurt, more than hurt, as I am texting you so tears are flowing down my cheeks. The last time yandakachema was 2009 when my mum passed away. … you know us very well ndichimuregerera you are the best person to testify kuti ndakambozama because I always confided in you. Fracas dzese dzana Bule, abortion dzake I forgave her and opened a new chapter. If you check those chats it was barely two months into the marriage anga akutohura. In as much as I love her wholeheartedly, for that I think in life there comes a time when tough decision have to be made. Contacted for comment Kudzai’s cousin who answered the phone, said Kudzai had gone to Namibia to talk to her husband about her identity. Kudzai’s cousin Nyasha Mudema, who spoke to the publication said the former had resigned from her job and had relocated to Namibia to work out issues with her husband. “I know and very much respect the nature of yo job but wateva happened to us it’s a thing of the past. Wat I dd bek then or wat she dd back then zvaiva zvenguva iyoyo.. she is and wll remain my wife. Am sure u foned her number mukataura ne whoeva has her fon ikoko kuZim. We r tryin to deal w our situation as we doin js fine.